mullangi sambar recipe | radish sambar | moolangi sambar or mooli sambar with detailed photo and video recipe. 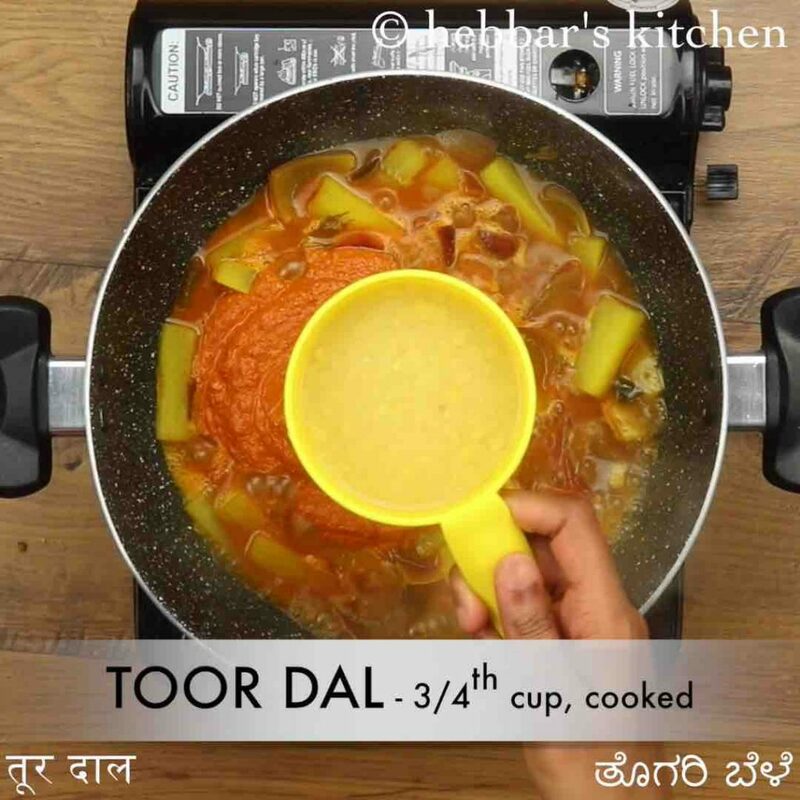 simple and easy sambar recipe prepared with diced radish and freshly prepared coconut masala. south indian cuisine is incomplete without highlighting varieties of sambar recipes it has to offer for breakfast and main course. 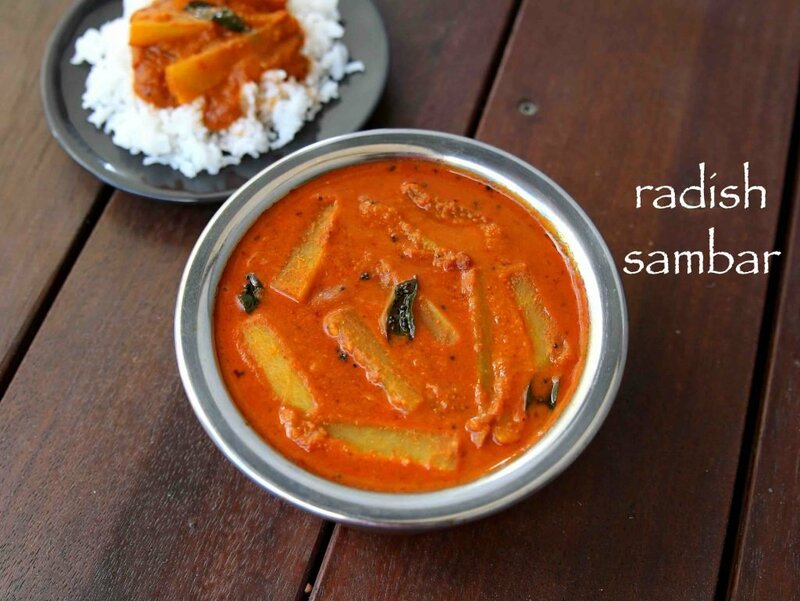 radish based sambar is one such recipe ideal for lunch or dinner served with hot steamed rice. 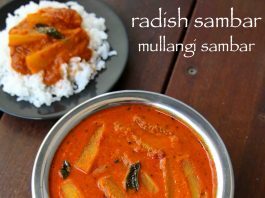 mullangi sambar recipe | radish sambar | moolangi sambar or mooli sambar with step by step photo and video recipe. 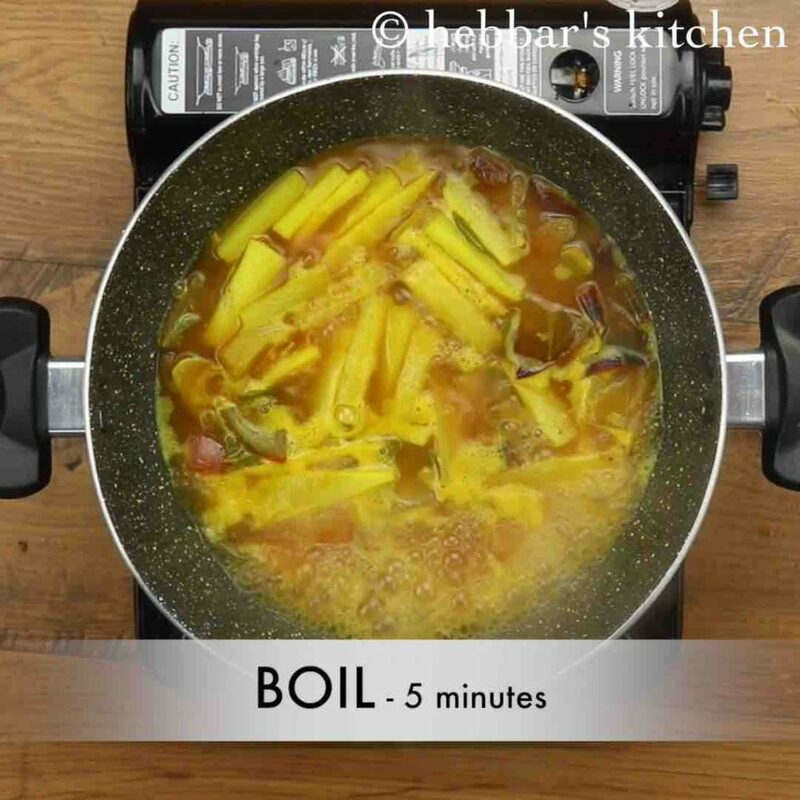 sambar recipes are very common south indian staple dish prepared with either single vegetable or combination of vegetables. it is generally served as a side dish to dosa / idli or as a main course with hot steamed rice. mullangi sambar is one such recipe prepared with a combination of dal and coconut masala. while the south indian cuisine is popular for its sambar recipes, there are myriad variations it has to offer. the major variations are the use of masala especially with and without coconut. in this mullangi sambar recipe i have used freshly grounded coconut masala with the combination of pressure cooked toor dal. particularly this combination gives the consistency and texture for the radish sambar. typically the coconut masala is a popular choice from the southern coastal cuisine. 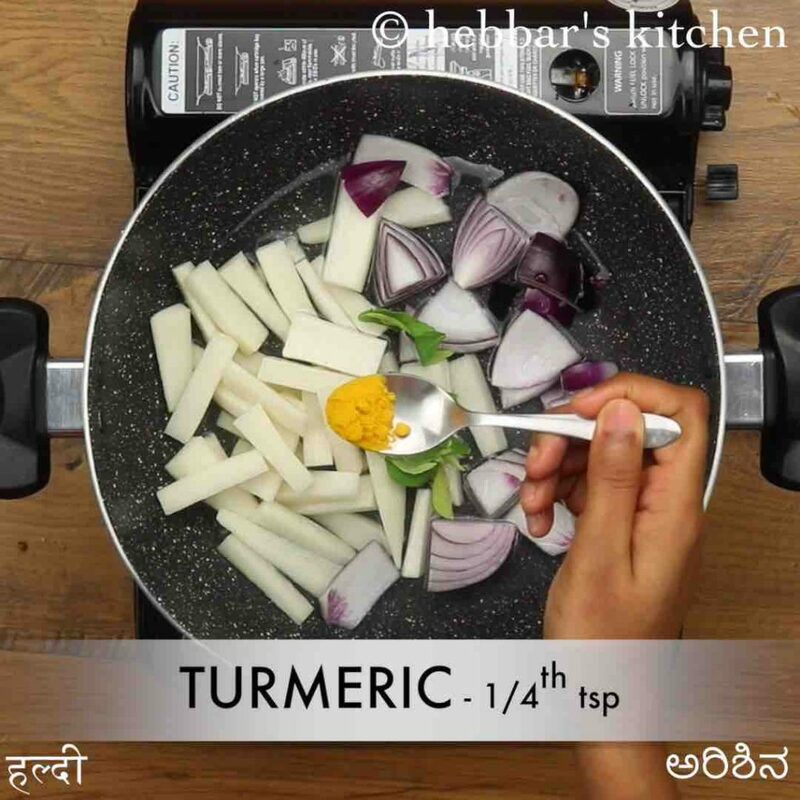 having said that the other popular variation is to prepare it without coconut and just with pressure cooked toor dal and top it with sambar powder. perhaps this is an easy variation compared to former but i personally love coconut based sambar. 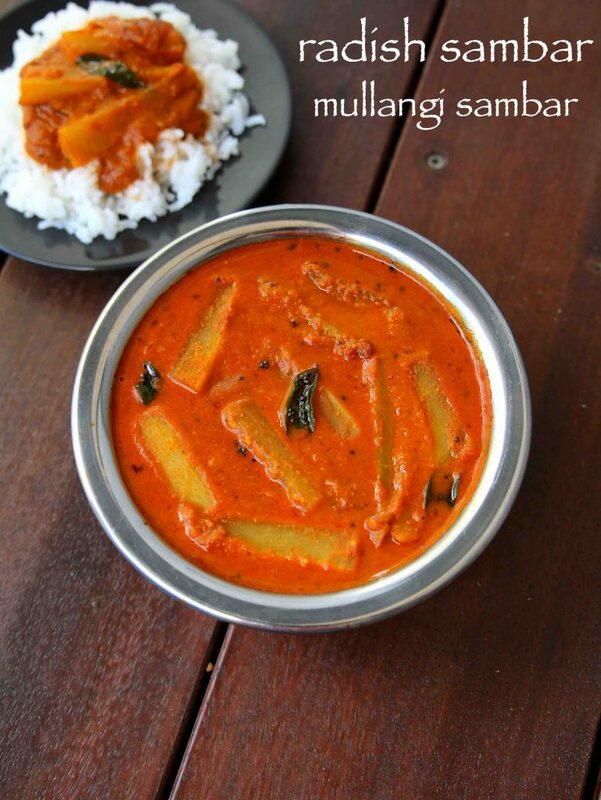 some tips, recommendation and serving ideas while preparing mullangi sambar recipe. 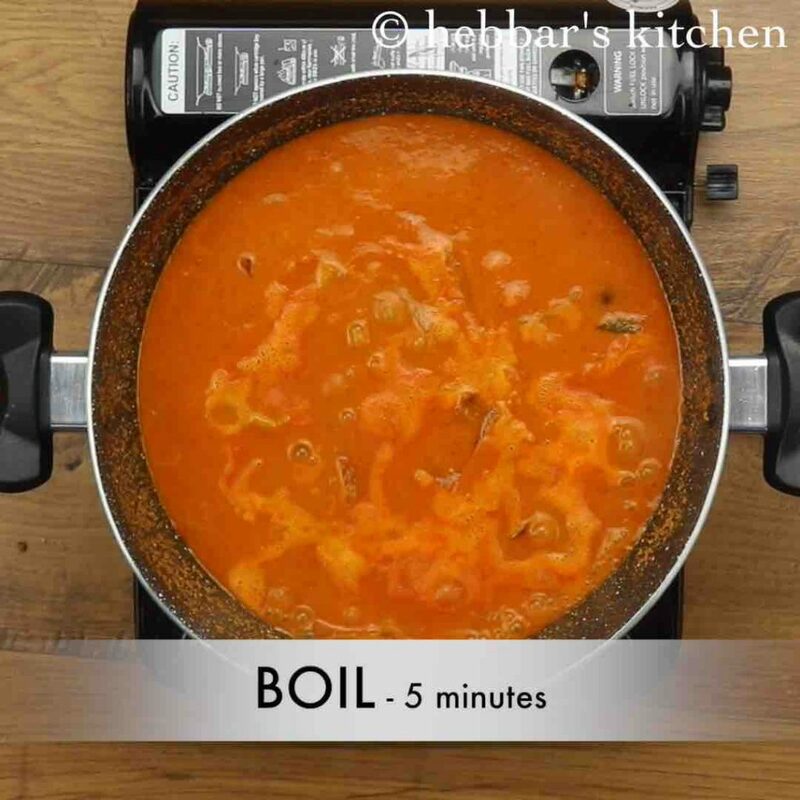 firstly, in this recipe, i have prepared fresh sambar masala by adding dry spices and other ingredients. but if you are running short of time, you can skip those dry spices and replace it with 2 tsp of sambar powder. you can use store bought sambar powder too for the same. secondly, if you do not like coconut masala, then you can check my mix veg sambar recipe to prepare it with just toor dal. in mix veg i have used a range of vegetables, and for this sambar use only radish. lastly, i have added hint of jaggery for this recipe for the sweetness taste, but can be skipped if it does not match your taste preference. firstly in a kadai take 1.5 cup radish and 1 onion. 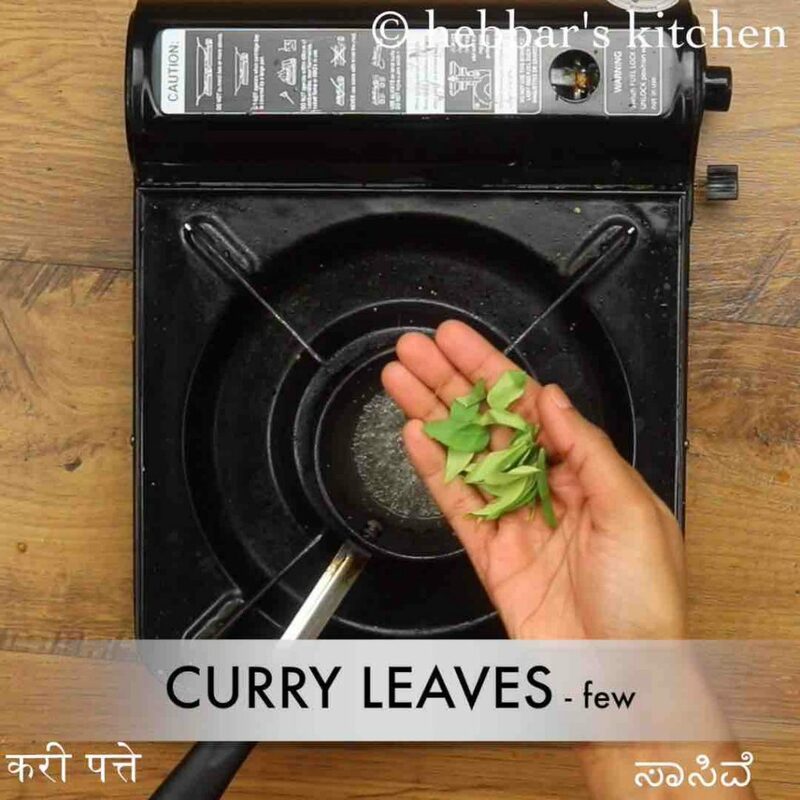 also add few curry leaves, ¼ tsp turmeric and 1 cup water. mix well, cover and boil for 5 minutes or till radish gets half cooked. 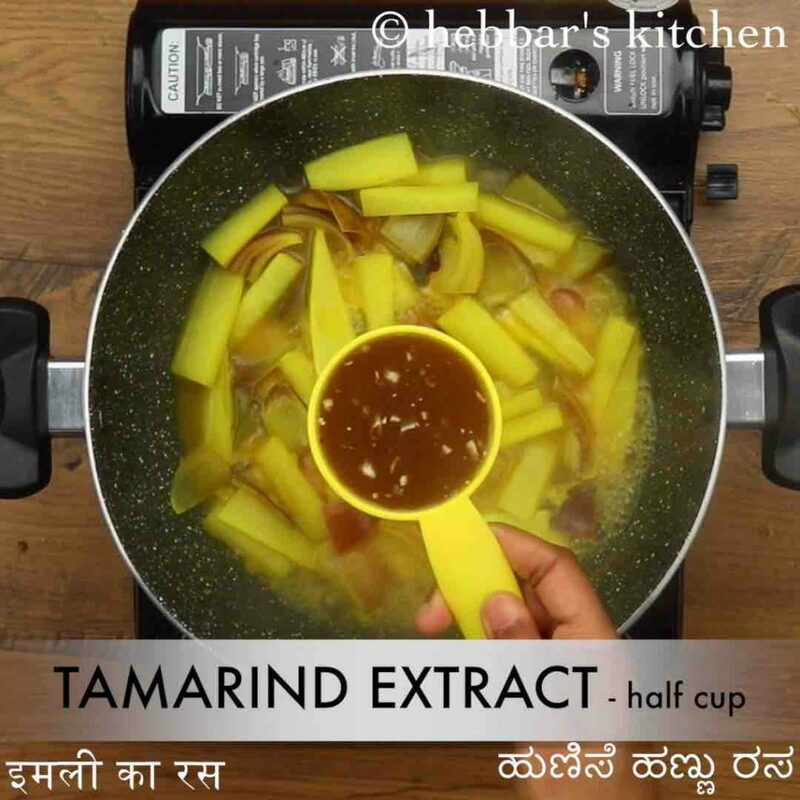 further add ½ cup tamarind extract, small piece jaggery and 1 tsp salt. mix well. continue to boil for 5 more minutes or till radish gets cooked well. now add ¾ cup toor dal and prepared masala paste. 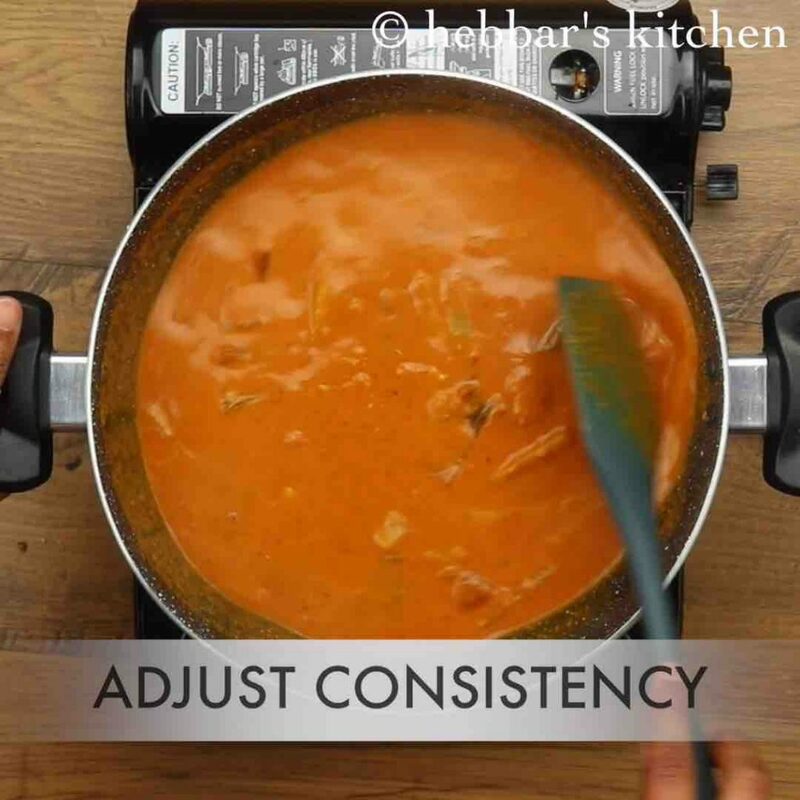 mix well adjusting consistency as required. boil for 5 minutes or till the raw smell of coconut disappears. 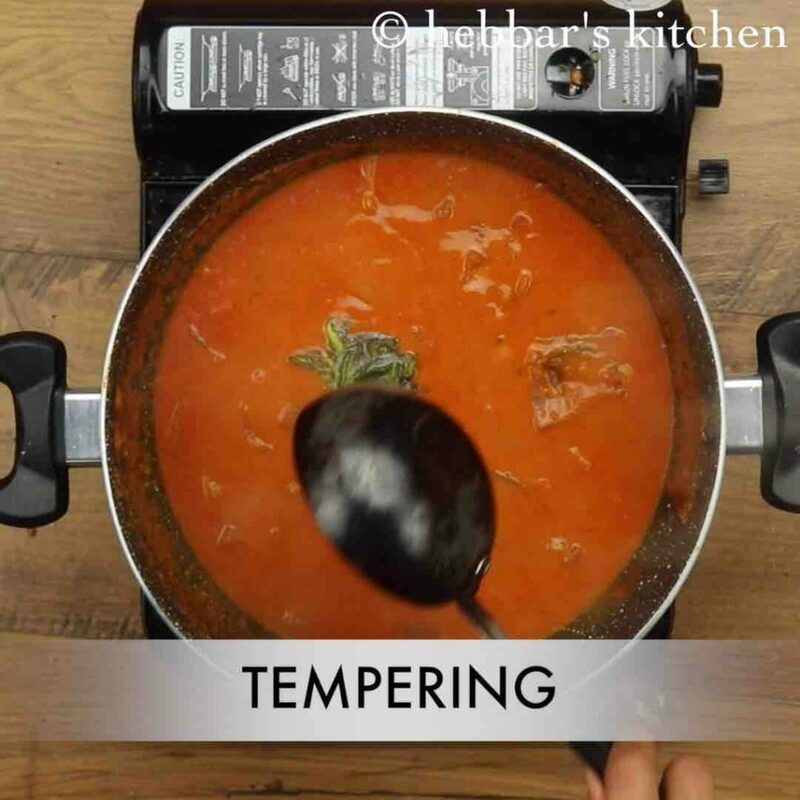 pour the tempering over sambar and mix well. finally, serve mullangi sambar / radish sambar with hot steamed rice. 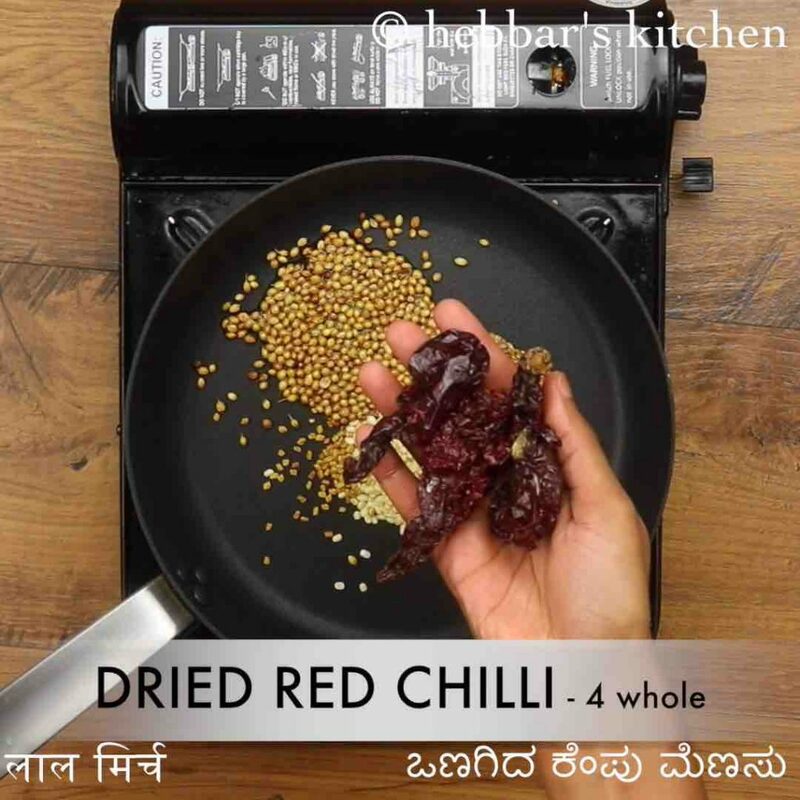 firstly, prepare masala paste by roasting, 2 tsp coriander seeds, ¾ tsp cumin, 1 tsp urad dal, ¼ tsp methi and 4 whole dried red chilli in 2 tsp oil. 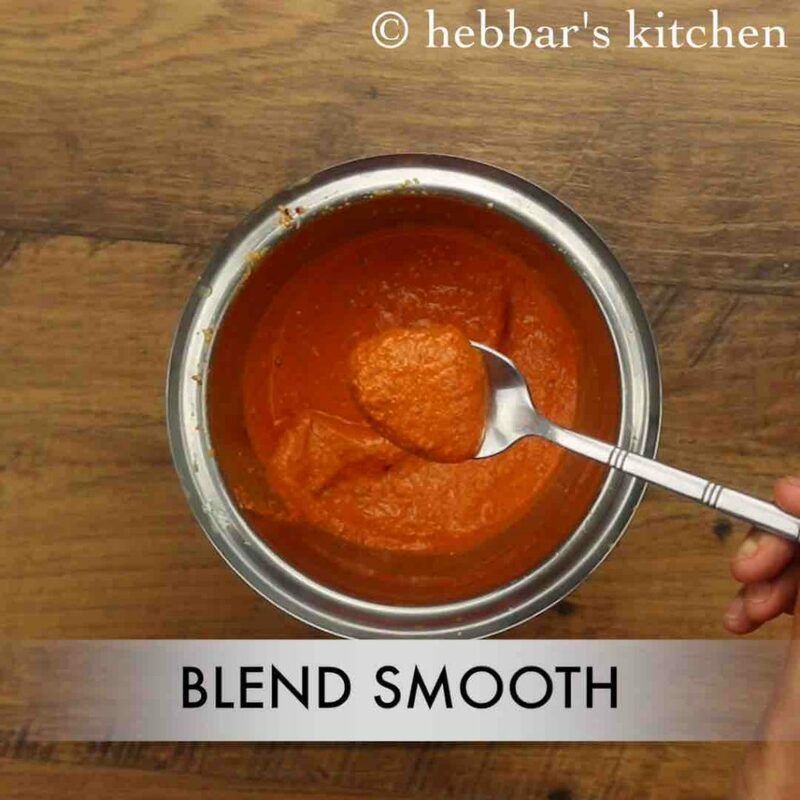 cool the spices and transfer to the blender along with ½ cup coconut. blend to smooth paste adding ½ cup water. keep aside. now in a large kadai take 1.5 cup radish and 1 onion. 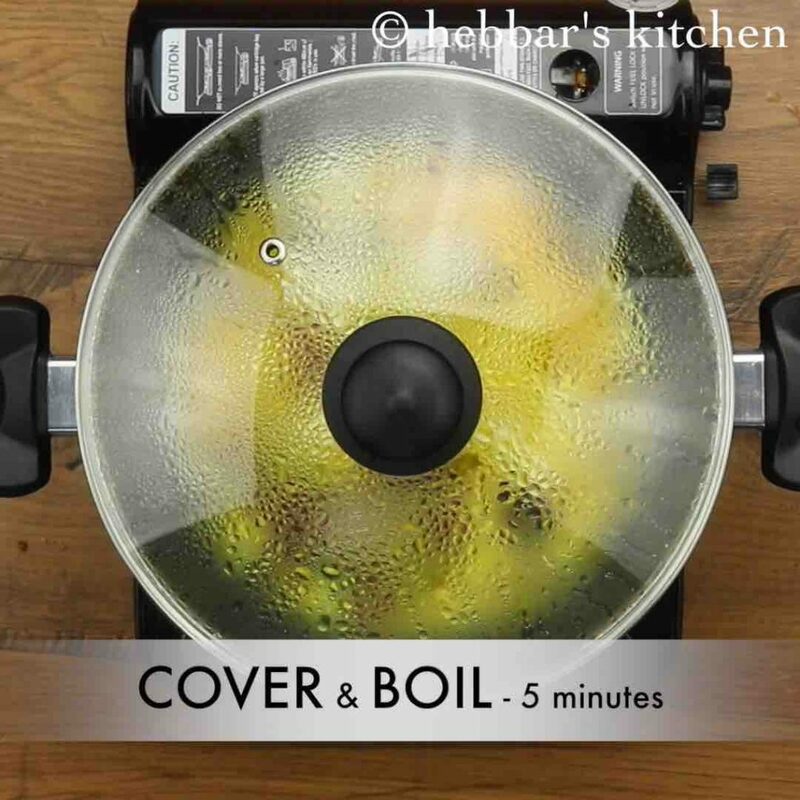 furthermore, prepare the tempering by heating 2 tsp oil and splutter mustard and curry leaves. 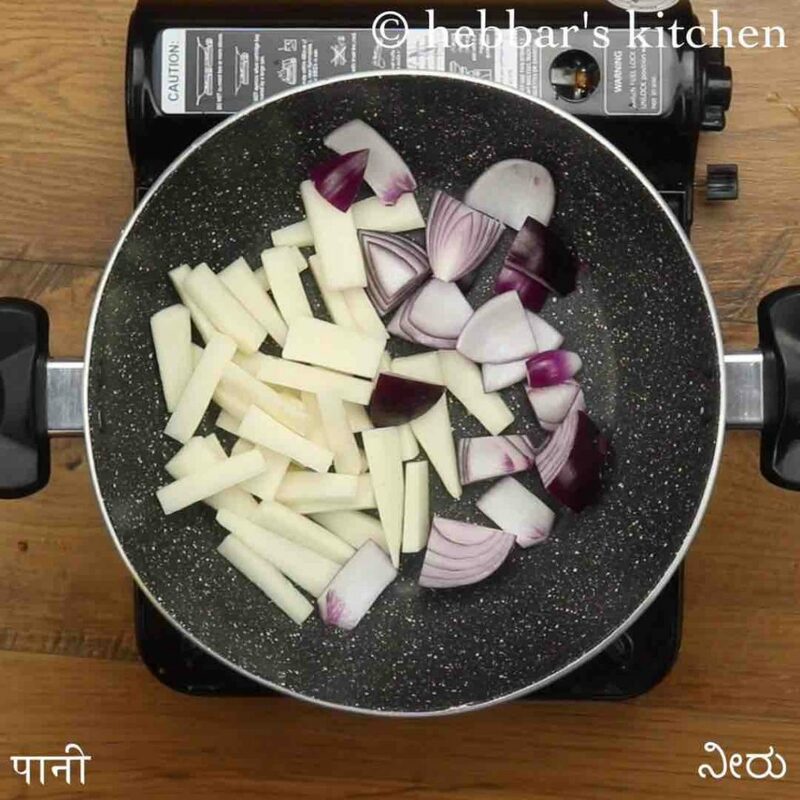 firstly, adding onions along with radish will reduce the smell of radish in the sambar. 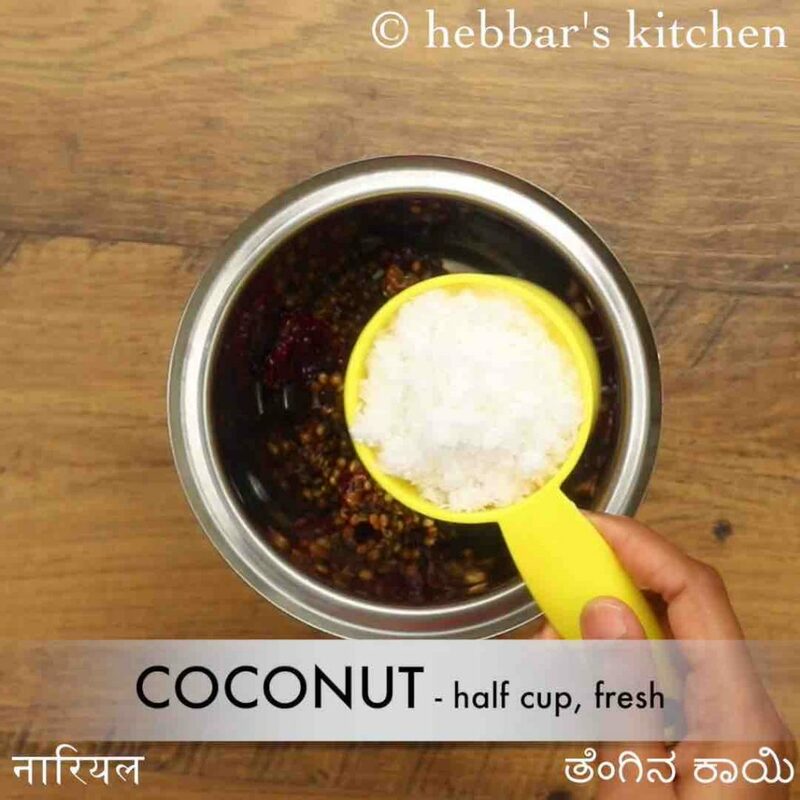 also, adding coconut masala paste is optional, you can prepare with just adding sambar powder. additionally, chop or slice the radish to the size of your choice. finally, mullangi sambar / radish sambar taste great when prepared with coconut.